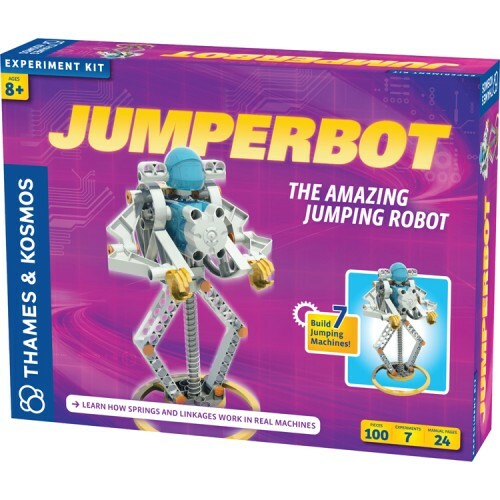 With the new Thames & Kosmos Jumperbot toy you get a robotics science kit and functional machines construction set in one box! 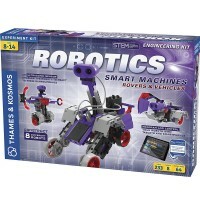 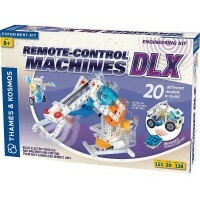 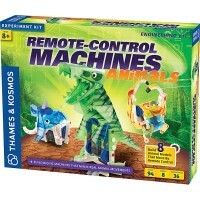 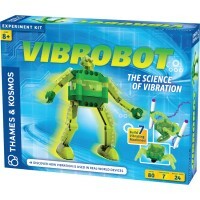 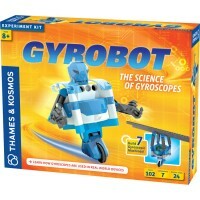 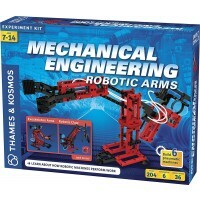 This creative robotics kit by Thames & Kosmos brings all the materials and instructions to build your own jumping robot. 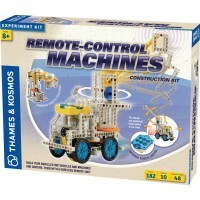 Jumperbot Jumping Robot Building Science Kit comes with 100 construction pieces to build 7 different motorized bouncing robots. 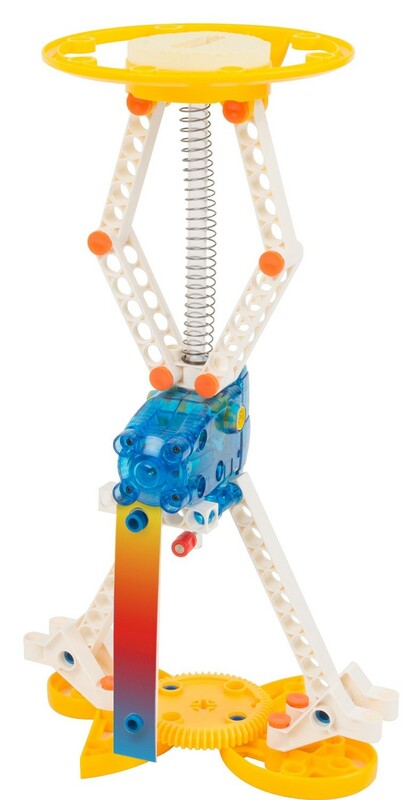 The jumping robots will use a spring-loaded mechanism for continuous bouncing. 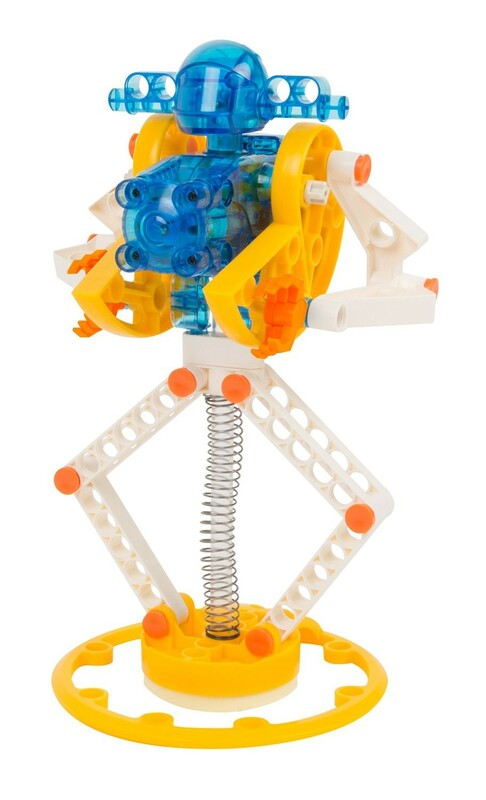 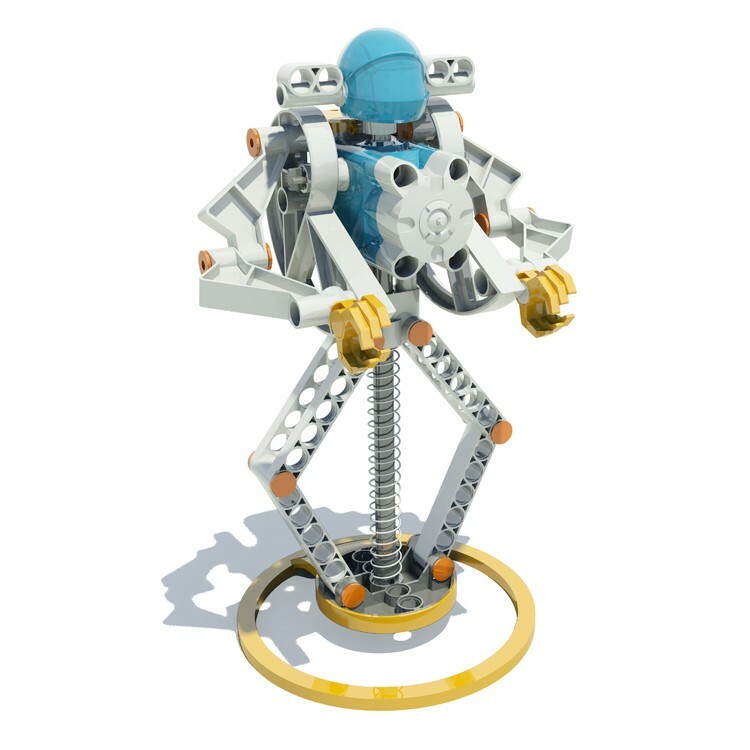 Young robot builders will enjoy not only assembling the jumping machines with this Educational Toys Planets science toy, but also watching the robot crouching down, extending its legs, jumping up and forward, and more. 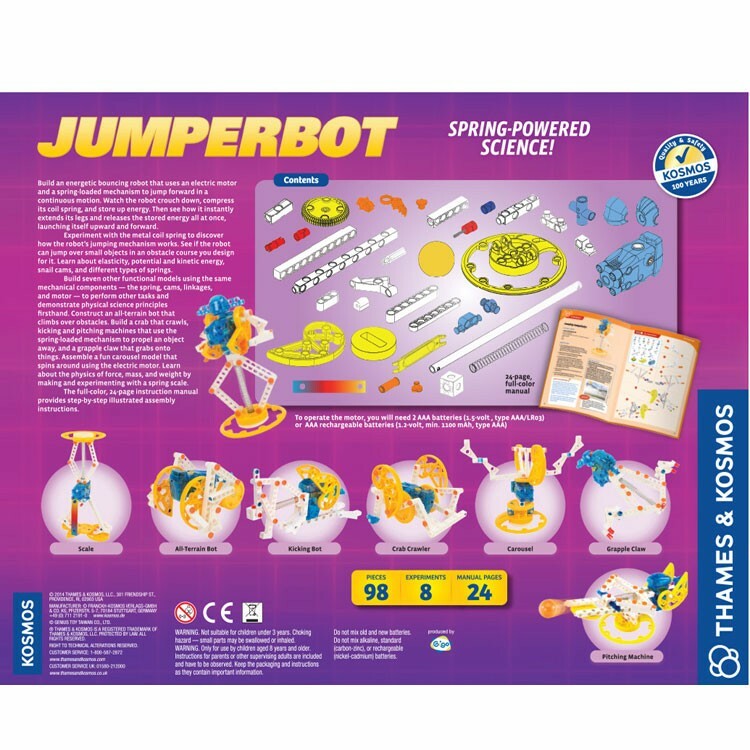 Jumperbot Jumping Robot Building Science Kit allows children to experiment with the metal coil spring and discover science behind robots bouncing. 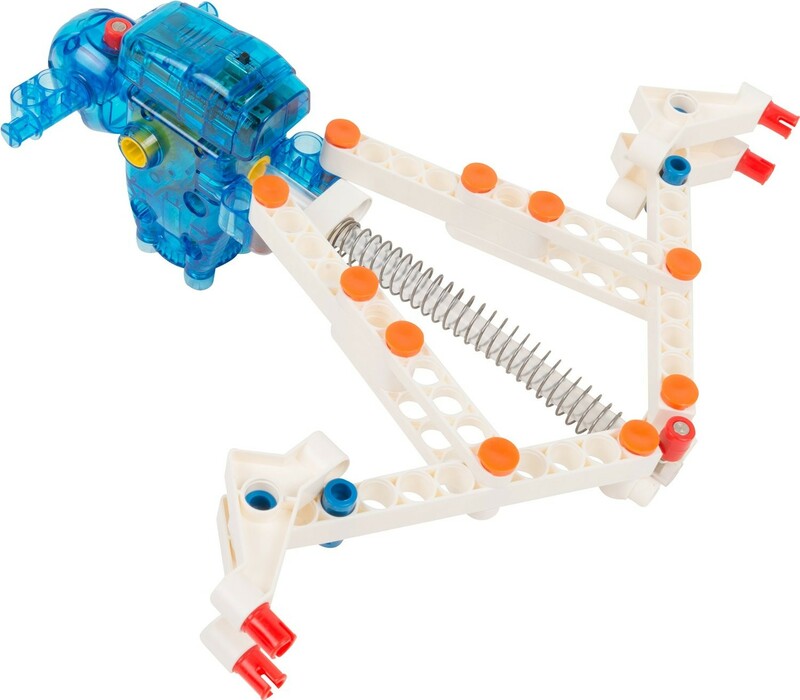 Build 7 functional moving models using the spring, cams and motor to experiment with the same mechanical parts and see how different construction variations depend on the principles of physics and motion. 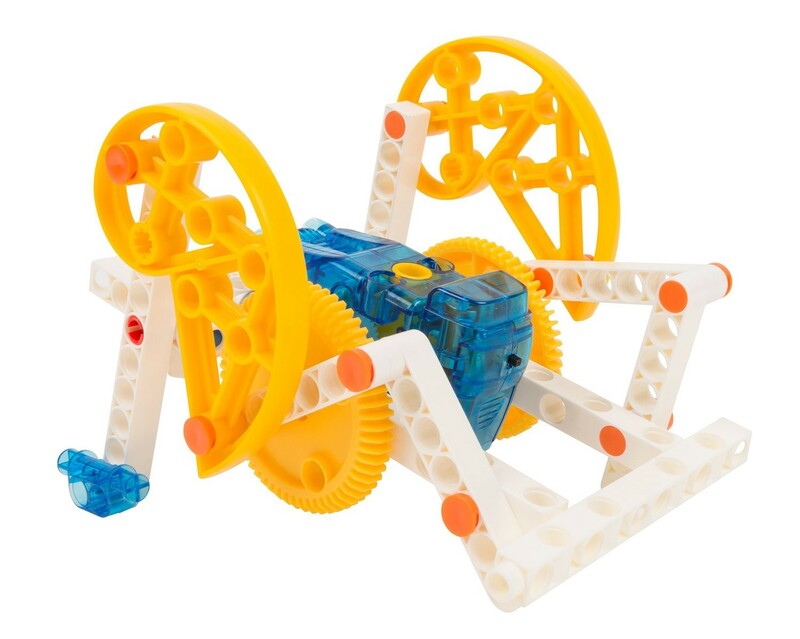 Assemble a robotic crab that moves sideways. 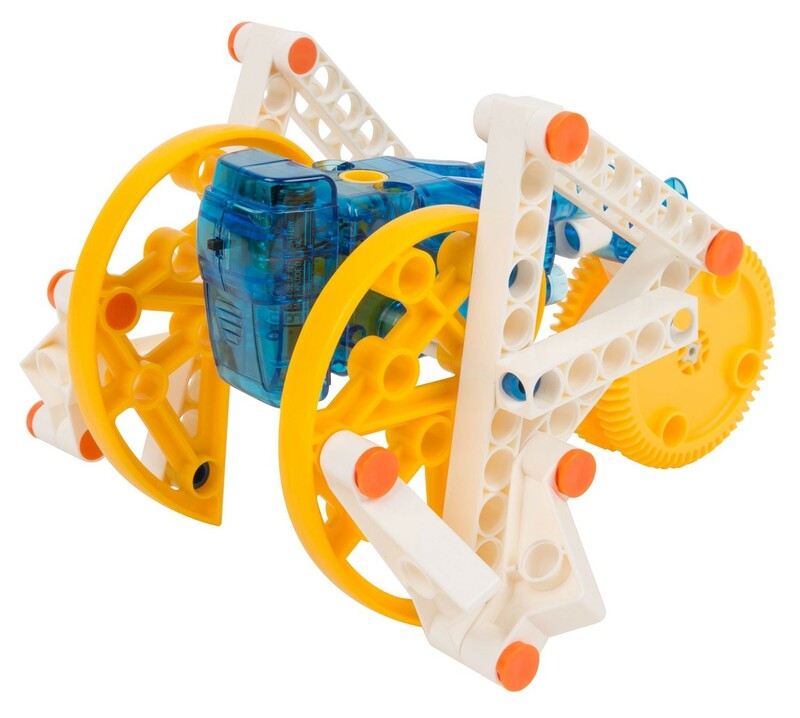 Build a car that goes forward on spiral shaped wheels. 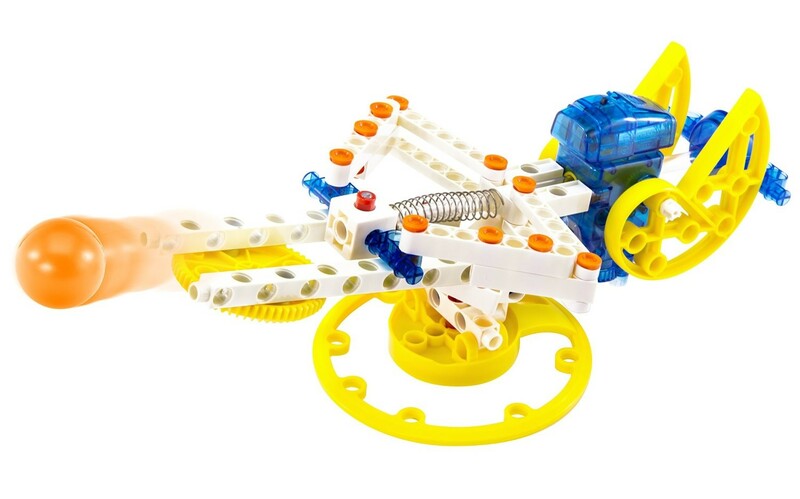 Create a propelling mechanism that kicks an object away, a grappler claw that grasp the things. 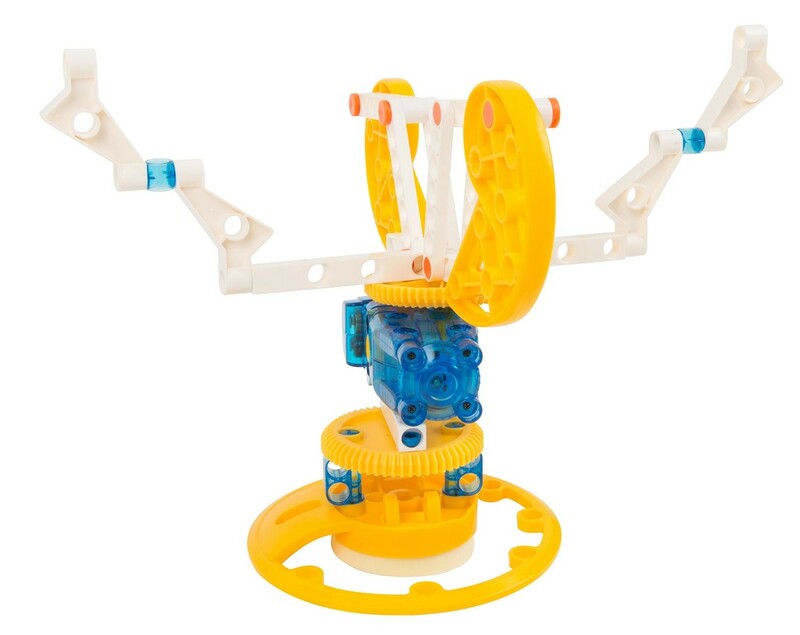 Or build an amusement ride model that spins around. 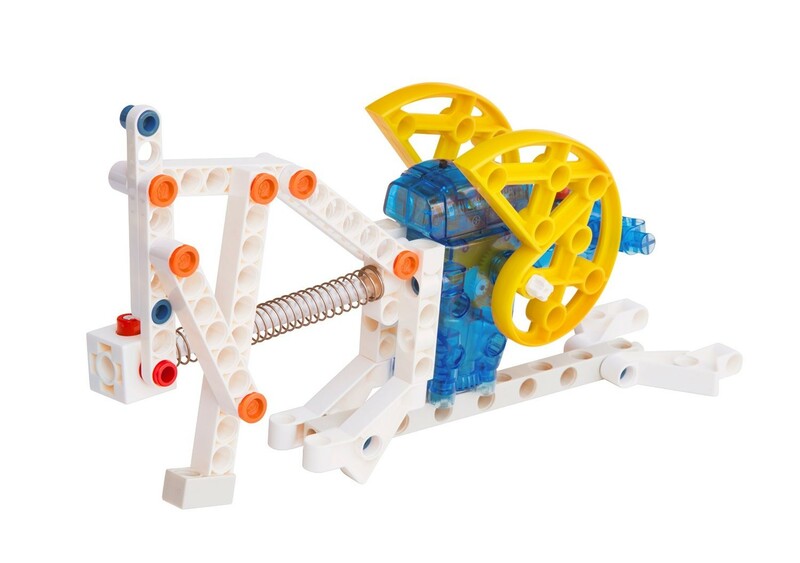 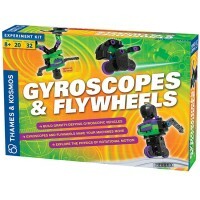 Discover elasticity, learn about potential and kinetic energy, and principles of mechanics building the amazing robotics constructions with this kids science kit. 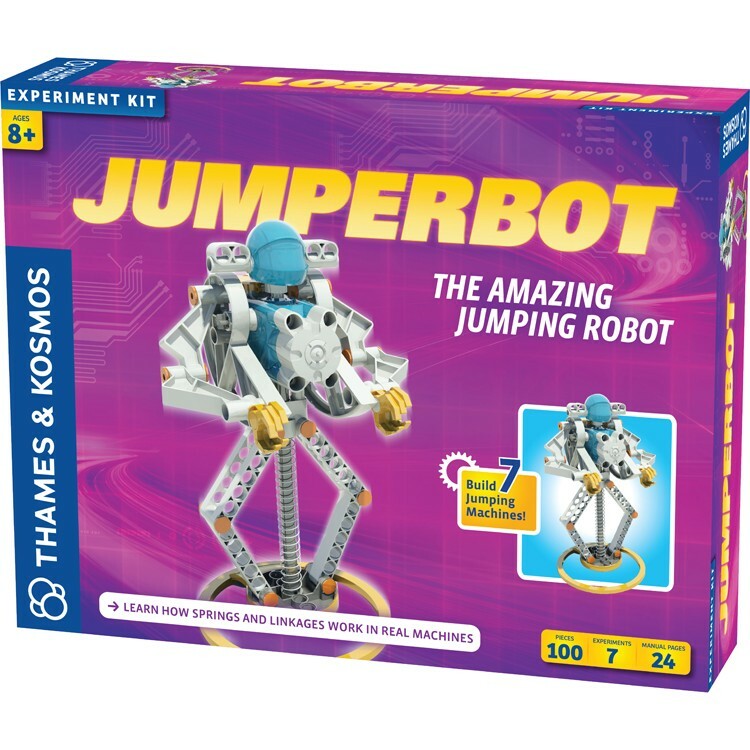 With this Jumperbot toy you get a science kit and construction set in one box! 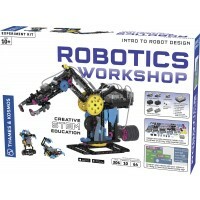 The jumping robot building set comes with 24 pages full-color instructions booklet. 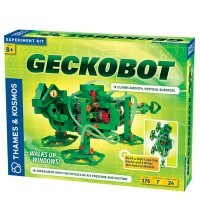 Write your own review of Jumperbot Jumping Robot Building Science Kit.